Despite being bitterly cold Tuesday, Wednesday and Thursday evenings the 07th, 08th and 09th December 2010 saw 822 joyful passengers and helpers singing carols, drinking tea/coffee and eating a hot mince pie (this year being kindly donated by Brakes Fresh Ideas) as they travelled on the South Devon Railway. 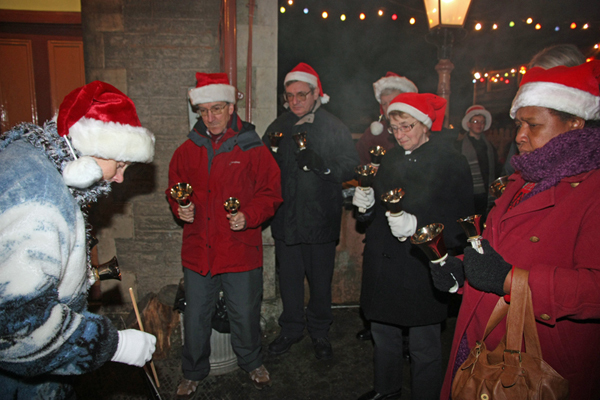 The occasion was the annual "Carols Down the Line" event coordinated by Paignton (Palace Avenue) Methodist Church. Stations were beautifully decorated as was the train with South Devon Railway Association volunteers both train crew and station staff entering into the spirit of the occasion on the train as well as at Buckfastleigh, Staverton and Totnes stations with passengers alighting from the train to sing carols on the platforms. Salvation Army bands played for the carol singing on Tuesday and Thursday with Totnes Town Band accompanying the carol singing on the Wednesday. Plympton Clangers (handbell ringers) delighted us with their tuneful ringing at Buckfastleigh Station before the train departed on the Thursday. A representative of BBC Radio Devon travelled with us on the Tuesday talking to passengers and volunteers. The resulting item was broadcast the following weekend. "Carols Down the Line", whilst being a very enjoyable occasion, also gives an opportunity to raise money for nominated charities and good causes. This year, thanks to the generosity of passengers, it is expected that in excess of £4500.00 will be able to be sent to charities and "good causes" - the final figures are expected to be available at the end of January 2011. 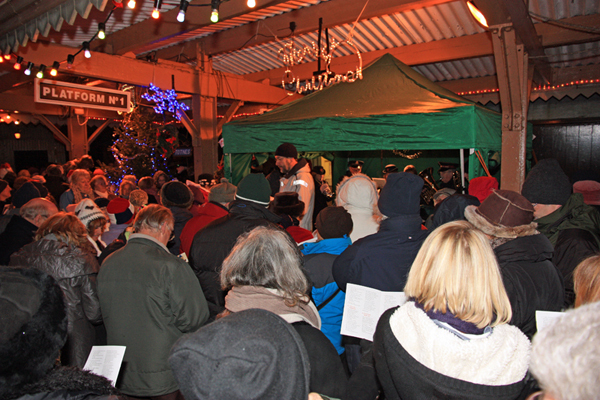 Paignton (Palace Avenue) Methodist Church Council wish to place on record their sincere thanks to the volunteers of the South Devon Railway Association who gave of their time freely to help make "Carols Down the Line" 2010 such a success. 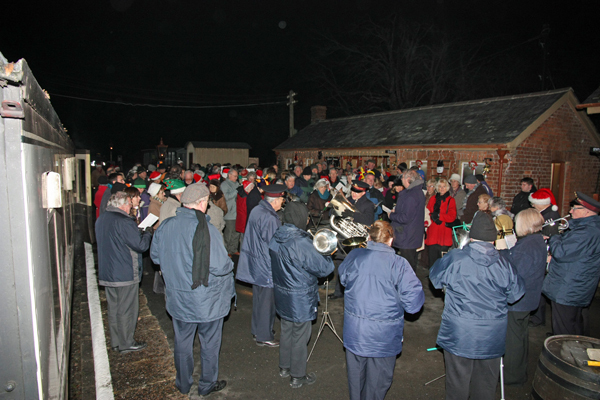 Although "Carols Down the Line" has been omitted from the South Devon Railway 2011 Brochure, Paignton (Palace Avenue) Methodist Church would welcome the opportunity to coordinate "Carols Down the Line" in 2011 if the South Devon Railway wish to host the event.